At Michael Farms, we are proud to grow some of the region’s highest quality food. As vegetable growers, we understand that the best foods should be both delicious and nutritious. 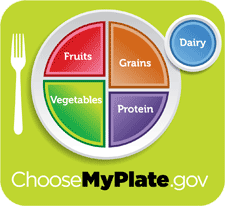 Under the current My Plate nutrition guidelines published by the USDA, a sample 7-day menu (for a 2000-calorie diet) features all the vegetables grown at Michael Farms: sweet corn, green beans, cabbage, and potatoes, each in different recipes. Potatoes are in fact, listed four times in various dishes. This goes to show that the popularity of the crops produced on our farm is well deserved, as they are both delicious and very nutritious! See nutrition facts below for more info and click on the images for even more. 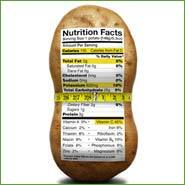 Potatoes are naturally fat free with no cholesterol or sodium. They are loaded with vitamin C (one potato contains 45% recommended daily value) and a good source of potassium (one potato contains more potassium than a banana – 21% of daily value). Potatoes also provide fiber and complex carbohydrates necessary for the body to generate energy. It is important to note that leaving the skin on provides the highest nutritional value. Cabbage is an excellent source of vitamin K and vitamin C. It is also a very good source of fiber, manganese, and folate. 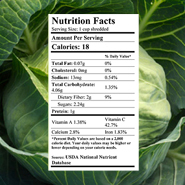 Cabbage is also a good source of molybdenum, vitamin B6, potassium, thiamin (vitamin B1), and calcium. Green beans are a great source of vitamin C and vitamin A as well as bone-building vitamin K. They are also a very good source of enzyme-supportive manganese and molybdenum as well as heart-healthy dietary fiber, folate, vitamin B6, magnesium, and potassium. 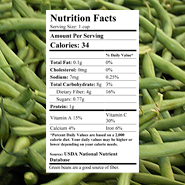 In addition, green beans are a good source of vitamin B1 and niacin; also calcium, phosphorus, and copper, protein, and anti-inflammatory omega-3 fatty acids. Sweet corn (also referred to as corn on the cob) is a good source of fiber, vitamin C, energy producing B vitamins including B3 and B5 and heart-healthy folate and niacin. 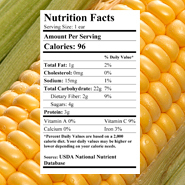 Corn also provides manganese, a vital trace mineral nutrient and antioxidants which have been shown to decreased the risk of cardiovascular disease.